Choose from any of our trim or piping colors for the luxurious look of embroidered letters and monograms. 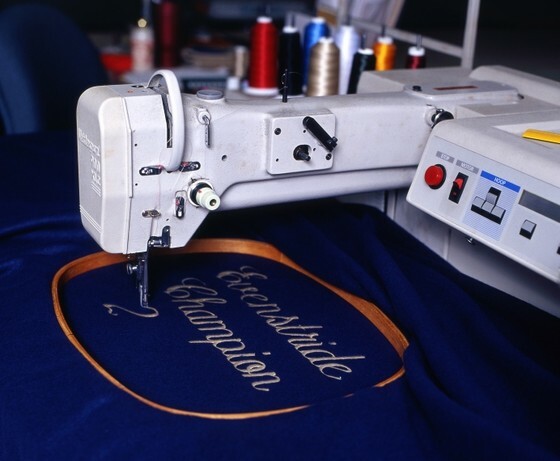 Our computerized machines can sew directly into most of the horse clothing we offer, and lasts a lifetime. Please specify lettering style, thread color, and location when ordering.